Need we say more, this is all you need, the most beautiful sunset view right out your lanai overlooking the Gulf of Mexico? This property is in walking distance to restaurants and shops. Beautifully updated kitchen with granite counter tops. Association pool and the beach right out back! 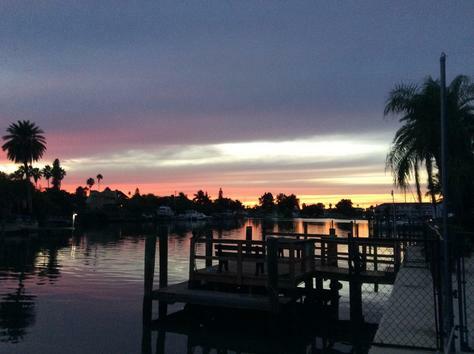 Great location located in the middle of Siesta Key close to the bridge so easy on and easy off. This slice of paradise is exactly what the doctor ordered to chase away your blues. It's just a short walk across the street to get to the beach. You're also in walking distance to great restaurants and entertainment. Enjoy your cup of coffee in the morning out in your lanai or outside patio. Nice peaceful area. No car needed here. Weekly rentals available, longer stays during May-Nov. Dec.-April is a 2-week minimum, prefer monthly or longer. Call to book your stay. Great location located in the middle of Siesta Key close to the bridge so easy on and easy off. 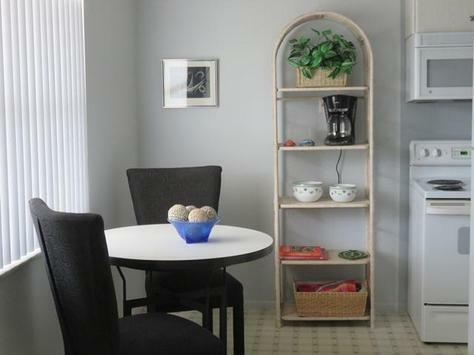 Come and enjoy Siesta Key with this cute updated condo. 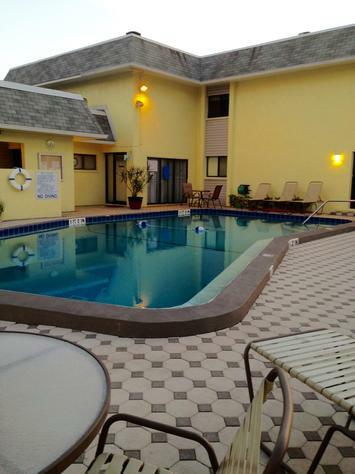 Just a short walk across the street to the beach and walking distance to restaurants and entertainment. No car needed here. December-April is a 2 week minimum, prefer monthly or longer. Everything within walking distance! This condo is turn-key, ready for the beach or relaxation. The beach on the Gulf of Mexico is just a half block away. This 1 bedroom condo with twin beds offers two flat-screen TVs with cable and Wi-Fi in bedroom and living room. Catch some rays on the patio and utilize our lounge chairs that are available. There are coin laundry facilities on the premises. No need for a car here although there is one personal parking spot for a vehicle. This vacation rental is located one block from the beach and three blocks from everything such as historic downtown Venice. Pick your spot for breakfast, lunch or dinner or take a stroll through the variety of shops. On the weekends they have the ever so popular “Farmers Market” in walking distance. This condo gives you a quiet place to recharge. This 2 bedroom 2 bathroom is updated with granite counter tops in kitchen and bathroom. This is easy on and off the bridge with walking distance to restaurants, shops and entertainment. 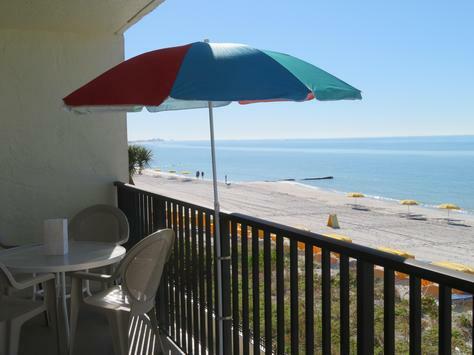 The beach on the Gulf of Mexico is in a short walking distance. This is located on the 2nd floor. This sleeps 4 in the bedrooms and has a sofa sleeper for 2 more people. Weekly rentals available, longer stays during May-Nov.
February-April prefer monthly or longer. This quiet association is in a great location, located on the bottom floor and on a sailboat canal with a beautiful view. You get sunsets right out your back door and tennis courts right across the street. Walking distance to the beach (3 blocks) and walking distance to restaurants and unique shops. The Florida famous Sand sculptures are featured here every year! This is a 2-month minimum no pets allowed as owner is allergic. Parking for 1 vehicle and guest parking is also available. 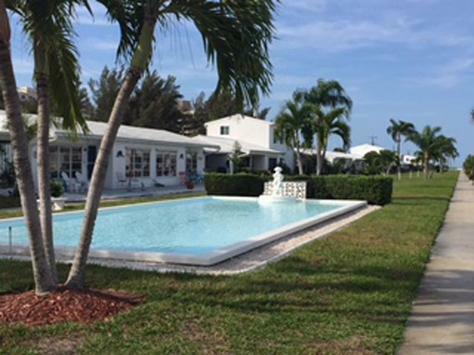 This 2 bedroom 2 full bathroom villa is on the great Siesta Key Beach powdery soft white sand that never gets hot ! Come enjoy this 2 bedroom 2 bathroom with a walk-in shower and a carport for your vehicle. Sit out in the lanai and watch the beautiful scenery along with your cup of coffee in the morning while watching the sunrise or a cocktail in the evening watching the beautiful sun set on the Gulf of Mexico. Come and enjoy the beautiful Siesta Key Beaches that are known for its powdery soft white sand that never gets hot which is right out your back door. With 2 king size beds you will have plenty of room. This is priced to rent fast $3,700 every monthly. Book with another couple and split your month up between you. This is a month minimum.